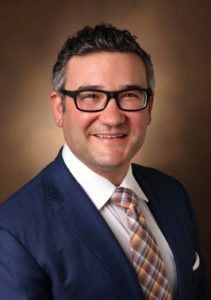 Alexander Langerman, MD, SM, FACS, is a practicing head and neck surgeon whose research focuses on the intersection of ethics, management, and data science in the operating room. He is a sought-after speaker and author on topics of surgical ethics, video and data recording in the operating room, operating room efficiency, and clinical care of head and neck cancer patients. Dr. Langerman completed his Otolaryngology residency at the University of Chicago in 2010, followed by a fellowship in Head and Neck Surgery, Cranial Base Surgery, and Microvascular Reconstruction at Vanderbilt University Medical Center. He returned to the University of Chicago in 2011 where he was nominated as an inaugural Faculty Scholar of the Bucksbaum Institute for Clinical Excellence, and completed a fellowship in clinical medical ethics and a masters degree in clinical and administrative data science. Dr. Langerman formed and ran the Operative Performance Research Institute (OPRI), a multidisciplinary think tank and investigative unit focused on improving surgical care while faculty at the University of Chicago. He was awarded a Distinguished Faculty Award for Program Innovation for this work, which implemented major operating room efficiency improvements and broke new ground on the use of video and data collection in surgical settings. Dr. Langerman was appointed to the faculty of the MacLean Center for Clinical Medical Ethics in 2014. While at the University of Chicago, Dr. Langerman also co-founded ExplORer Surgical, a startup based on his research and focused on real-time surgical data collection. ExplORer Surgical has received funding from the National Science Foundation to study and improve the delivery of surgical care. Dr. Langerman’s research has also been funded by the Howard Hughes Medical Institute, the American Cancer Society, the National Institutes of Health, the Gold Humanism in Medicine Society, the Triological Society, and most recently, the Greenwall Foundation. He has taught classes focusing on the operating room innovation and data science at the Illinois Institute of Technology Institute of Design and the Booth School of Business, and has authored over 50 peer-reviewed publications and over 20 additional articles including in major media outlets.